Textured vegetable protein (dry soy granules) are usually used in savory recipes as a stand-in for ground meat, but it actually has a neutral flavor which means they can also be used in sweet recipes! If you cook them with soy or almond milk, sweetener and some cinnamon, they actually taste quite similar to oatmeal, making a nice high protein low carb breakfast porridge. 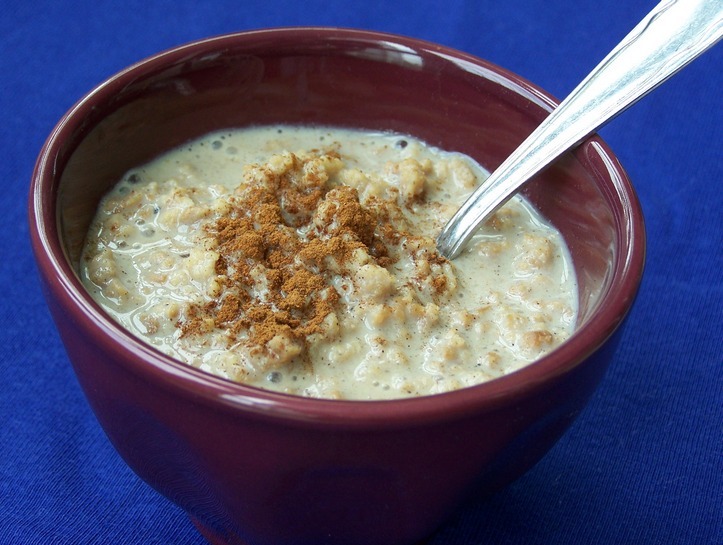 If you like a hot breakfast, also check out my recipe for hot cereal. This recipe makes a single serving, but you can easily double or triple it etc. to make more. If you let the porridge cool down it will keep for a few days in the fridge. You can heat up a portion when you are hungry or even just eat it cold. Depending on the nutritional value of the tvp you use, the recipe has about 5 g carbs and 16 g protein per serving. This stuff is super filling, so a small bowl full is quite satisfying. optional: vanilla extract, nutmeg, fruit etc. Put all the ingredients into a small pot and bring it to a boil. Turn down the heat and let it cook for 10-15 minutes, until the tvp is soft. Stir often so the porridge won't burn to the bottom of the pot. Eat it warm or let it cool down and eat it cold. It will keep for a few days in the fridge. Seeing that no one else has tried or maybe just not posted on this recipe I had to comment. I have been vegan for years but recently switched to low carb to shake up my weight. Your site has been fabulous so far! I tried this recipe the other day and it was fabulous. It was a hideous shade of gray just because I threw a small handful of blueberries in it, but I will be making a big batch for breakfast thru the week at work. THANK YOU!! Thank you for commenting Annie. Glad you liked it so much! OMG...it makes a great oatmeal...but it's also like rice pudding! Thank you so much. I've missed both for so long. Please keep experimenting!! I appreciate all the work you're doing! Happy to hear you like it so much Chris! I've been super busy with other stuff for a while, but I will be posting new recipes hopefully soon. Hmm. I bet doing half oats and half tvp would be amazing since I have a decent amount of carbs to work with. Very yummy. Made it three times already. That's great, thanks for the feedback Ursula! I made this today and it is very good!